The surveillance cameras PKI 5715 and PKI 5720 are used when a permanent personal surveillance of the room in question is impossible. With our special self-adhesive material, the small cameras can be inconspicuously attached in a corner of the desired window within seconds. This allows a direct view into the room to be monitored. Even in the most adverse lighting conditions, no activities are lost from view. The version PKI 5715 disposes of a built-in video transmitter and can transmit the video signal to our video receiver PKI 5725 over a distance of up to 50 m (depending on the environment). This enables a JUST IN TIME monitoring. Larger operating ranges up to 500 m are possible using our A/V repeater PKI 5790. 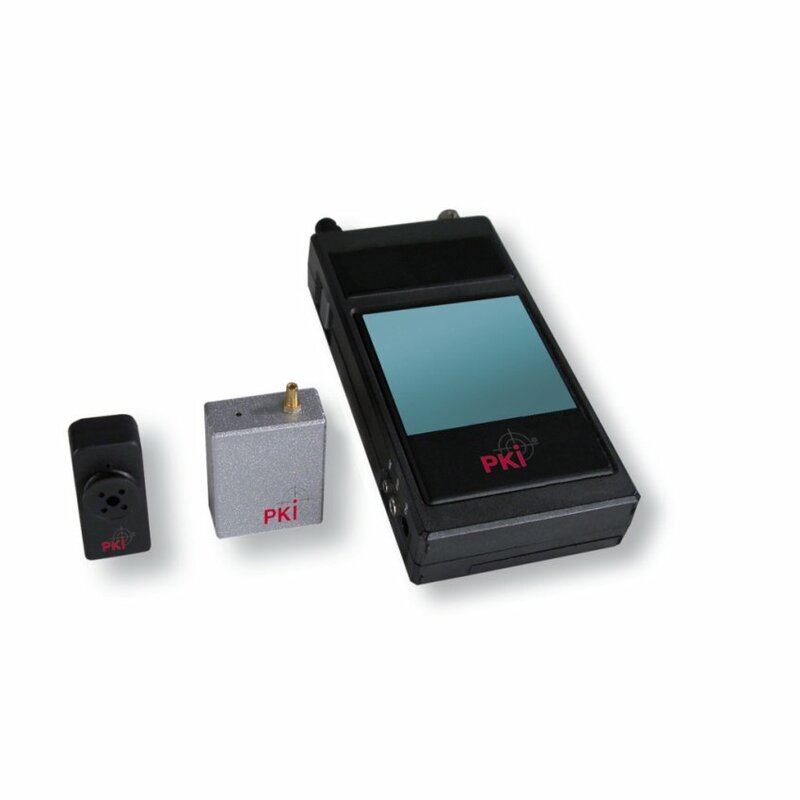 Alternatively, the PKI 5720 with built-in video recorder can be used. The built-in memory can record up to 45 min. of top quality video film. Thus, an observation of radio-proof rooms is possible, too.